Enjoy a full night of Improv comedy at The Voodoo Comedy Playhouse this Friday, October 4th from 7pm-12pm. Comedy at The Voodoo Comedy Playhouse in LODO (Downtown Denver). Come enjoy an evening of varied improv comedy. Purchasing one ticket gets you in for the whole night ($5-$10)! This Friday’s line up includes: 7pm-8pm The YES! Lab – a showcase for the current performers and students to practice what they have learned. A fun-filled experience for both the audience and the performers. 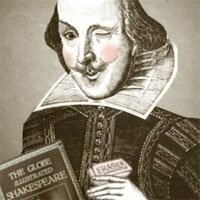 8pm-9pm Makeshift Shakespeare – improv styles inspired by the Bard himself! 9pm-10pm Hit and Run: Musical Improv – if you enjoy musicals then you will love a completely improvised musical based off of suggestions from you! 10pm-11pm Authors – enjoy three 15 minute plays completely made up on the spot based off of an author of the audience’s choosing. 11pm-12pm Karaoke Friday – the name says it all. FREE First Friday Art Walks. Enjoy strolling through various art galleries in several of Denver’s art districts. Some even have live music, food trucks, and drinks available as well: Sante Fe Art District 5:30pm-9:30pm, Tennyson Street Arts District 6:00pm-10:00pm, and the RiNo Art District 6:00pm-9:00pm. FREE admission on Friday, October 4th, 2013 between 12pm-4pm at the Four Mile Historic Park where you can see Denver’s oldest building (tour times are 12:30, 1:30, and 2:30 to see the inside); pan for gold, and see the many farm animals. On Saturday, October 5th from 10:00am-4:00pm, join them for the Pumpkin Harvest Festival where you can enter a pie eating contest; wear old costumes and pose for a photo in front of the Four Mile House; find the perfect pumpkin; win a prize in an old fashioned cake walk, and so much more! Admission is FREE but the pumpkins and some activities are not. Denver’s Oktoberfest is going on this weekend October 4th-6th, 2013 where you can enjoy food, fun, music, entertainment, and of course beer! This weekend you can head over to Oktoberfest going on Friday, October 4th from 5:00pm-2:00am, Saturday, October 5th from 11:00am-2:00am, and Sunday, October 6th from 12:00pm-6:00pm in the Ballpark Neighborhood (between 20th and 22nd Streets on Larimer Street). Admission is FREE and there are food and drinks available for purchase along with a variety of fun-filled activities for all ages. Head on over to the Western Slope and enjoy Golden’s FREE First Friday Street Fair filled with music, entertainment, and food provided by the local restaurants. They also have FREE carriage rides. This Friday, October 4th from 5:00pm-8:00pm. On Saturday, come back to Golden for the Farmer’s Market from 8:00am-1:00pm where there will be more entertainment, FREE carriage rides, puppet show, master garden presentations, and so much more! Saturday, October 5th, enjoy FREE admission to the Denver Art Museum from 10:00am-5:00pm! Then, if you want to view even more artwork for next to nothing, the Museum of Contemporary Art of Denver has admission for only one penny from 10:00am-5:00pm! Round up the family to partake in this year’s 38th Annual Lakewood Cider Days where pie eating contests are just the beginning! It’s time for Lakewood’s 38th Annual Cider Days this Saturday and Sunday (10/05-10/06) from 10:00am-5:00pm! Tickets are $7 for adults and $4 for kids between the ages of 3 and 12 and the cost of admission covers all entertainment and activities inside. Enjoy dancing? Learn how to swing for only $10 at the Mercury Cafe this Sunday, October 6th from 5:30-10:30. The cost includes all lessons and dance. This Sunday, October 6th, admission to the Denver Museum of Nature and Science is FREE from 9:00am-5:00pm. Enjoy classic films followed by discussion? Then you do not want to miss the FREE screening this Sunday, October 6th at 2:00pm for the movie La Ronde at the SIE Film Center 2510 East Colfax, Denver, CO 80206. This event is presented by the Tattered Cover Bookstore and Colorado Public Radio, hosted by Howie Movshovitz. The FREE tickets are available 1 hour before the screening.